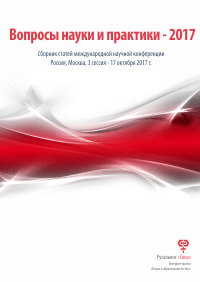 SCIENCE, TECHNOLOGY AND LIFE – 2015 | Книжный магазин интернет-проекта "Наука и образование on-line"
Proceedings of materials the international scientific conference. Czech Republic, Karlovy Vary - Russia, Moscow, 24-25 December 2015. 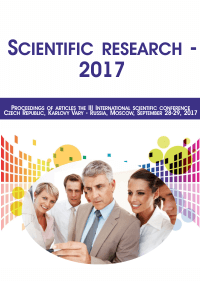 Proceedings includes materials of the international scientific conference «SCIENCE, TECHNOLOGY AND LIFE – 2015», held in Czech Republic, Karlovy Vary-Russia, Moscow, 24-25 December 2015. The main objective of the conference - the development community of scholars and practitioners in various fields of science. Conference was attended by scientists and experts from Azerbaijan, Kazakhstan, Kyrgyzstan, Russia, Tajikistan, Ukraine. At the conference held e-Symposium 'Physics and mathematics and natural sciences', 'Social Sciences and Humanities', 'Construction, design and architecture.' International scientific conference was supported by the publishing house of the International Centre of research projects.